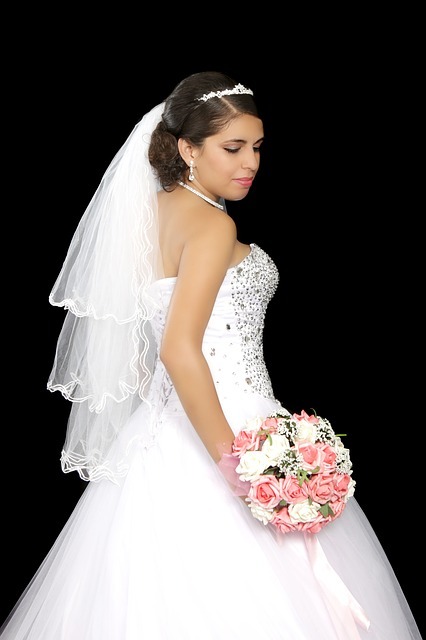 Your veil or headpiece, if you have chosen to wear one, should go well with your dress. 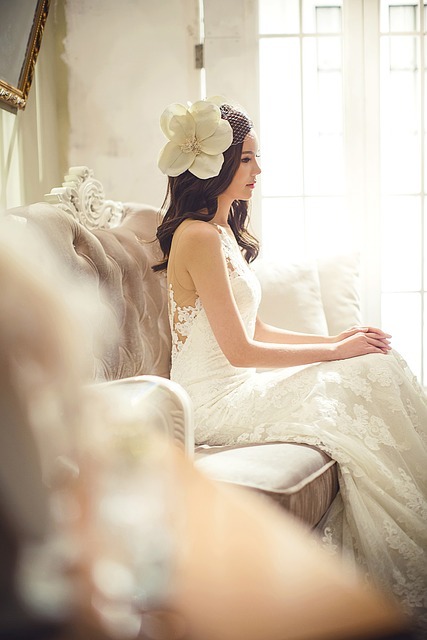 If you have gone to a boutique to purchase your gown, the salesperson there can give you a really good idea of a veil or headpiece that would be perfect for your body and your gown. There are many choices, but the main thing is that the veil coordinate with your gown and that it flatters you, not overwhelms you as some long or very full veils or large headpieces can do to a very small framed bride. To be sure it coordinates with your gown, you should ask for a swatch of the gown's fabric in order to match its particular shade of white. As you probably already know, there are several different lengths to be had. 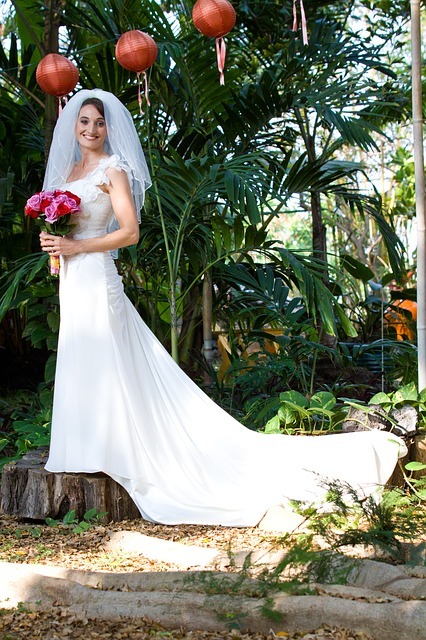 *The Blusher or Elbow - touches elbows when arms are straight at the sides A blusher veil may be attached to a longer veil so that it can be folded back during the wedding ceremony. The veil is not gathered to allow the veil to drape over the face and shoulders. 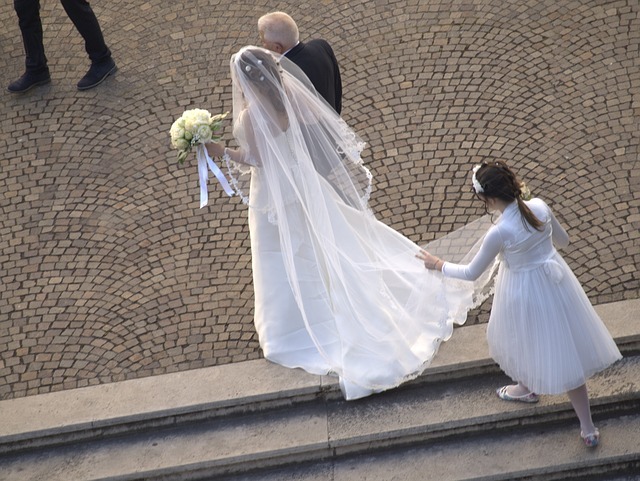 *The Cathedral - extra long trailing length about 3 1/2 yards (3.2m) from the headpiece The cathedral veil is usually worn with a cathedral train. Longer veils are for more formal weddings. While the other length veils can be worn for any. If your wedding is outdoors you probably don't want a train that drags the ground. It is your choice. 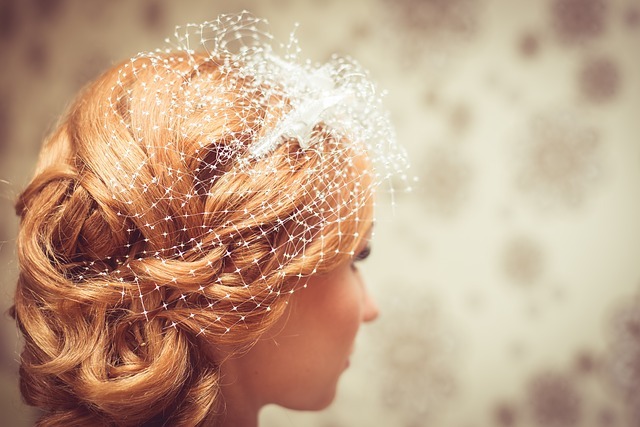 You may want to wear a comb, pins or something else ornamental in your hair under your veil or headpiece so that you can take your veil off after the ceremony. They tend to get in the way while at the reception. 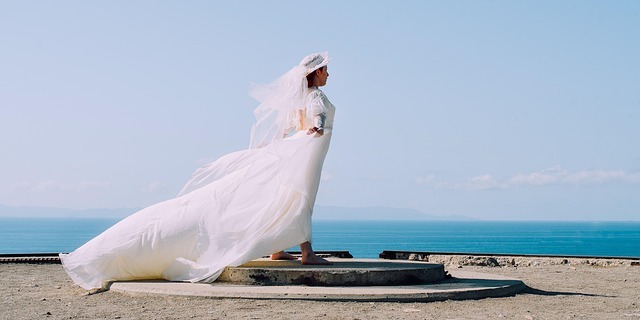 Many brides choose not to wear veils. There are lots of other options such as tiaras, hair pins, headbands, wreaths, combs, or barrettes. Just the right flower placed in just the right location can also be very nice, even glamorous. On my projects page, there are some step-by-step how-tos for making your own headpieces. If you are the crafty sort you, no doubt, can come up with some good ideas yourself. Making an acceptable headpiece is possible. 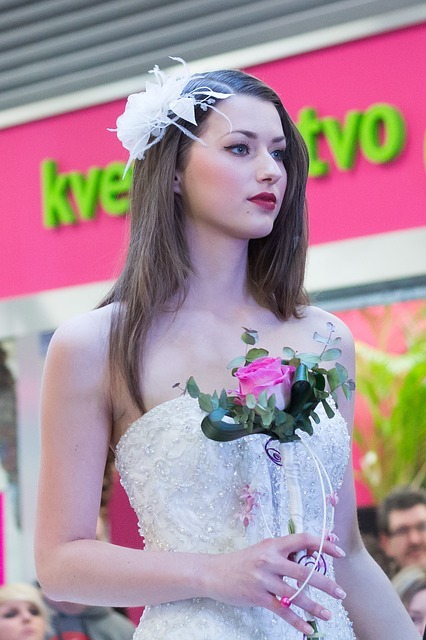 You can locate less expensive veils and headpieces that are samples that a store will sell for less. Some may be on clearance. Some may have been rented and are now being sold off. Sometimes there will be some listings in the local paper, perhaps look on e-bay and of course the consignment shops and thrift stores. Another option is to borrow one or wear your mother's or the groom's mother's. This adds a sentimental feel to your wedding celebration. What ever you decide, be sure that it is YOUR choice and not someone else's. 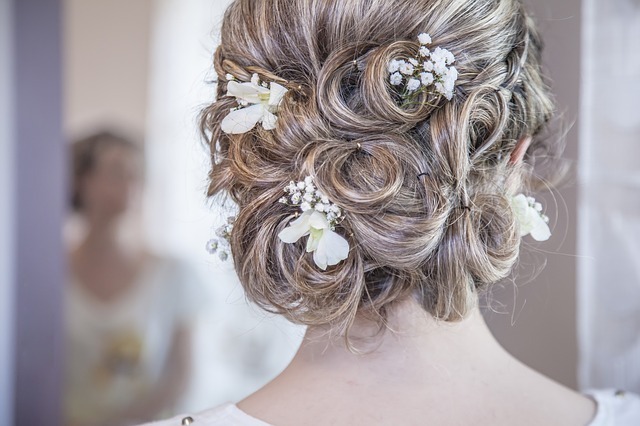 You are the bride and this is YOUR wedding, so choose something that makes you feel beautiful and happy.